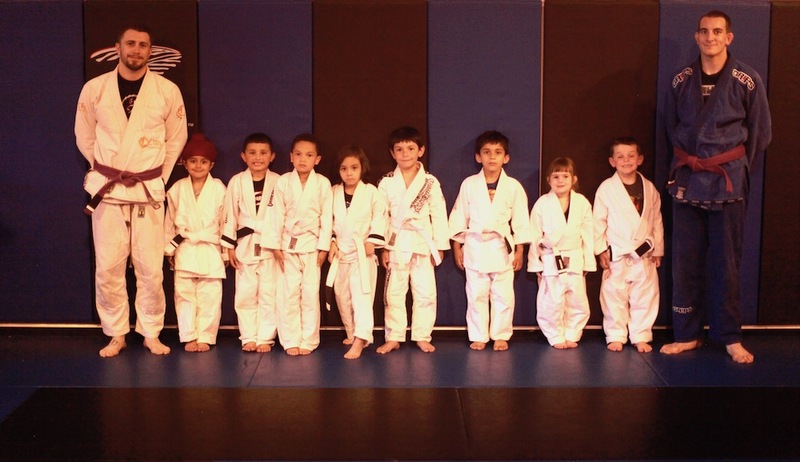 Kids Martial arts program for ages 4 & 5. The Future Warriors program offers martial arts for kids age 4 & 5 during their most important developmental stage to an array of physical movements and self-defense. This training methodology will challenge them while assessing and correcting children’s mobility, flexibility, muscular imbalances and supports cardio and respiratory endurance. The program will also concentrate on strengthening the child’s focus, social skills, and confidence through learning the core fundamentals of self-defense. Numerous studies have shown that children who study Martial Arts excel in social behavior, classroom conduct, and scholastic performance. Monthly Tuition includes 3 classes per week. During this phase, the children will learn the principal movements of both Martial Arts disciplines. The course is designed to emphasize safety and the implementation of a well executed technique, as well as observing and prioritizing the areas of athleticism needed to be reviewed during the second component of the program. These training sessions will focus on mastering the skills learned during the grappling and striking classes earlier in the week. It is essential for the class to have symmetry and proper form in order to progress. There will be constant assessments of strengths and weaknesses so each child may gain the essential components of optimal martial arts athleticism. On this day, we will address all the gaps that are observed during the first two days which could potentially procrastinate the development of the essential characteristics of an optimal athletic body. This class will be a mix of different striking techniques that teach the children to learn to use their hands, elbows, knees, and feet for offensive and defensive purposes. Muay Thai is a very precise art form and a great method to work on focus, discipline, coordination, speed, resistance and self defense while strengthening the core muscles for stronger physical development. This class will close out with a 5 minute breathing session where the children will learn different breathing techniques that will help them in their daily life activities. Proper breathing helps bring more oxygen to the blood and brain, and controlled breathing has been proven to reduce infections in the lungs and nervous system while improving attention span, overall athletics and well being. The purpose of this class is to assess and analyze the students’ movements, specifically common areas of immobility and muscle tightness (ie: hamstrings, lower back, ankles, neck, hip flexors, abductors). The class will be uniquely designed based on observations during the grappling and striking classes. The coaches and instructors will address any muscular imbalances or tightness and potential harmful postural habits, while developing agility, speed and endurance. Our goal is to develop your child based on the fundamental characteristics of a healthy, athletic individual who understands the concept that ” being in shape ” is a lifestyle to carry with you forever. Coach Ryan & Coach David with the Future Warriors BJJ class.